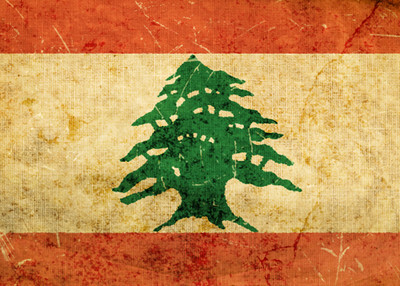 The United Nations' Special Tribunal for Lebanon handed over its first sealed indictment to The Hague Monday. Although its contents remain sealed, the Jerusalem Post reports that Hizballah's reaction indicates that it and its Iranian sponsors may be held responsible for the 2005 assassination of Lebanese Prime Minister Rafiq Hariri. Hizballah is treating the indictment as a political act by America and Israel, and is threatening to throw the small but diverse Middle Eastern nation back into civil war. Justice has a cost for Lebanon, where the tensions are at a boiling point. Schools in Beirut , the capital, were temporarily closed and small gatherings occurred in Hizballah-dominated neighbors in the southern neighborhoods of the city. "The gatherings this morning may signal preparations to mobilize in relation to the indictments handed down," a security official said. The Lebanese army spread its forces across the battle lines of central Beirut in response. The indictment, sent to a pre-trial judge, is only the first step of Bellemare's promise to "do everything that is humanly and legally possible to ensure that the truth emerges and that those responsible for the crimes … are brought to justice." Hizballah and Iran don't see the action the same way, and the Iranian proxy has taken several steps to paralyze the Lebanese government from taking action against it. Eleven ministers linked to the Hizballah-directed March 8 Alliance resigned from the national coalition government last week and forced its collapse. Hizballah argued that a transitional authority didn't have the legal right to receive an indictment, and attempted to delegitimize an international indictment as "politicized" and "serving US and Israeli interests in Lebanon and the region." "The Lebanese are already divided over the legal and structural aspects of the [tribunal], which the opposition regards as another political tool in US and Israeli hands to target the country and the resistance," said the terrorist group in an article on its news website, Al Manar. "The resignation of the government raises question marks on the fate of the international tribunal and the indictment which, if issued now, will find no official authority to receive it." Iran's reply to the indictment was decidedly quieter, with nothing mentioned about its alleged role, but some veiled threats. Iran's state-run IRIB featured an editorial, calling the tribunal a U.S. effort to "target the country's grassroots groups for their opposition to Washington's interference and their firm resistance to Israeli designs." The article contained no comment on the possible involvement of Iranian Supreme Leader Ali Khamenei. Despite Iran's silence to the formal legal action, Khamenei had previously registered his total disregard for the tribunal. "This court is a kangaroo court and every verdict it issues is rejected," declared the Iranian Supreme Leader on December 20th. "We hope influential sides in Lebanon will act prudently, so the issue will not be turned into a problem." And regardless of what the indictment holds, Hizballah's trump card comes from its powerful military apparatus. In the last internal confrontation, a 2008 clash between the group and Lebanon's central government, Hizballah rapidly seized significant sections of the capital Beirut as well as half of country's territory. The battle was precipitated by the discovery of the government's discovery and effort to shut down a private communications network run by the terrorist organization, as well the attempt to remove Beirut airport's security chief, Wafic Shkeir, for spying on behalf of Hizballah. Hizballah has leveled more than a veiled threat against Lebanese sovereignty. Al-Manar television cited a Hizballah source who "stressed that anything may happen after the indictment in the 2005 assassination case of former Premier Rafiq Hariri is announced." "If the situation reaches separation or partition of Lebanon, this means the end of Lebanon as a state that has this model of peaceful cohabitation between religions and ethnicities and different groups," Saudi Foreign Minister Prince Saud al-Faisal told Al Arabiya television. "It would be a loss for the whole Arab nation."